Combination of Ionian and the Aegean Sea. 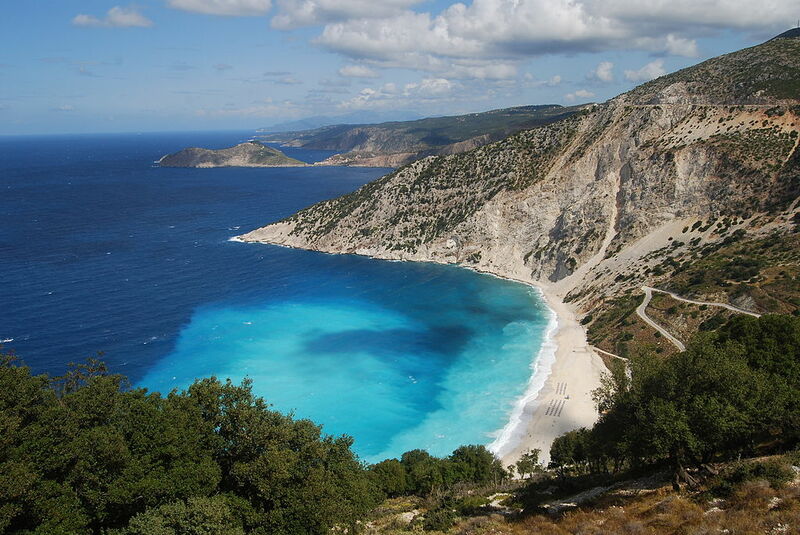 Admire the beauties of Zakynthos and Cefalonia and famous Santorini. 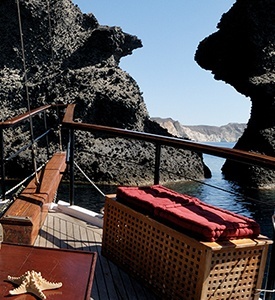 Go very close to volcanic islands opposite Santorini on the volcano cruise. Taste the Greek and Mediterranean food. Breakfast and at the agreed time transfer to the terminal of the bus to start the journey to Zakintos during the trip will have the opportunity to admire landscapes from the interior. Most of the time you travel along the seaside from Athens to Corinth on the Saronic Gulf and from Corinth to Patras on the Corinthian gulf. 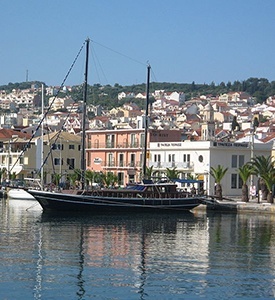 Once you arrive at Kylini port you will take a ferry boat trip (included) to the port of the island. Admire the villages, its fantastic gastronomy, the olive groves, pine trees and its cliffs with precipices of up to 200 meters, the phenomenal beaches and blue caves combining mountain and sea, a unique spectacle of nature. If you are lucky you will meet with locals in the island’s taverns singing local songs, (as they say all of them have the music inside them). Do not miss visiting Navagio beach, or beach of the wreck that made this island famous. 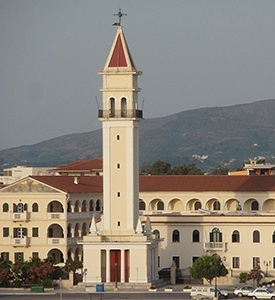 At the indicated time, transfer to Agios Nikolaos port to board the ferry to Cefalonia (Pessada port). Arrive and transfer to the hotel. Island of the Lotophagous described by Homer; place at once unusual and magical that you have to know how to capture the spell. Kefalonia deserves to be visited by its bright coves, its white beaches and its landscapes embroidered with ancient olive trees. Rest chosen by Byron where he wrote his Don Juan, and like him too, the traveller will discover places full of magic. The stage has been chosen for “Captain Corelli’s Mandolin”. 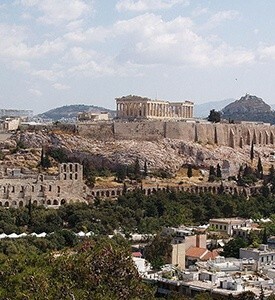 At the indicated time, transfer to the airport to board the flight to Athens, disembarkation and connection to Santorini. Arrival and transport to the chosen hotel. A special overnight tax of €4 for 5* hotels, €3 for 4* hotels, €1,5 for 3* hotels and €0,5 for 2* hotels per person per night to be paid by clients directly to the hotels in Greece.